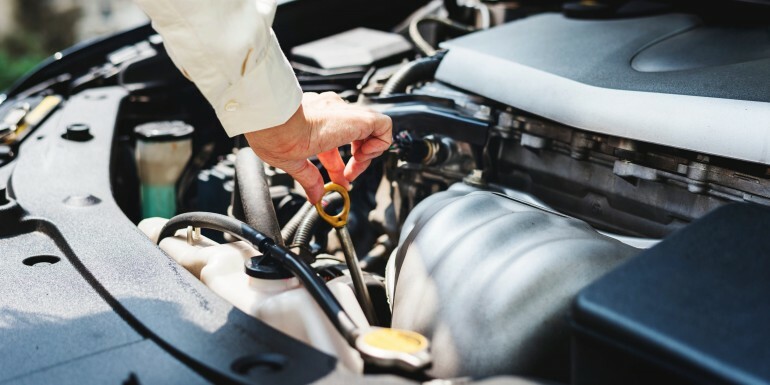 If you’re a casual car owner, you probably haven’t heard much about the difference between synthetic oil and traditional oil. Maybe your auto mechanic has brought it up when talking to you about commercial oil products, but most people aren’t fully aware of the difference in quality between these two products. Synthetic oil is man-made oil produced by an automotive oil distributor, and it’s much better for your car. Yes, it’s a bigger financial investment than traditional oil, but it’s one that will pay off in the long run. Here’s why you should opt for synthetic oil for your car. Synthetic oil helps your car last longer because it actually protects the engine from damage. This is because each molecule in synthetic oil is refined to be the same size, which means there’s less friction between the molecules. This means there’s far less wear and tear on the engine, because it’s harder for debris to get stuck there. Synthetic oil also contains additives that conventional oil does not have, put in by a commercial oil distributor to improve the quality of the oil. These additives are designed to actually protect your engine – something conventional oil can’t do. Synthetic oil even runs better in cold weather, making for safer drives. Another huge benefit of synthetic oil is that it is much better for the environment than traditional oil. It’s designed to burn much cleaner, so it won’t harm the planet in the same way. You also don’t get the same sludge that happens with conventional oil, so your engine will be much easier for your mechanic to clean. Overall, it’s a product you can feel good about using. Although synthetic oil is a more expensive oil up front, it could save you money in the long run. This is because it protects your engine from damage, so you won’t have to save money on repairs, and you probably won’t have to change your oil quite as frequently either (depending on the age and quality of your car). You can switch between conventional oil and synthetic oil as needed – it won’t damage your car. Synthetic oil is the way of the future because it protects the planet and protects your car too. Look for an automotive oil wholesaler that offers synthetic or synthetic blended oil next time your engine needs a change.